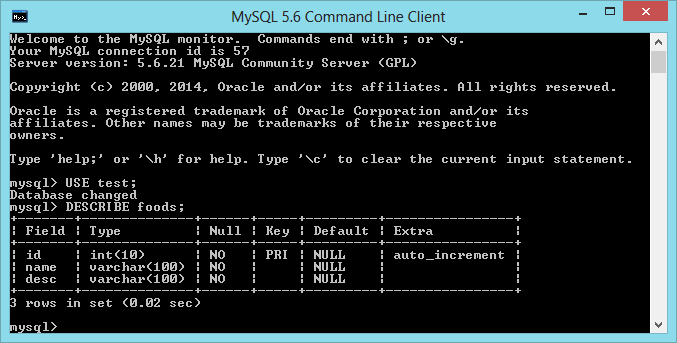 කලින් වතාවේ සරලව MySQL database එකක් PHP වලින් use කරන විදිය ගැන කතා කරානේ.. ඒ පොස්ට් එක මෙතනින් බලන්න පුළුවන්. දැන් මේ කියන්න යන්නේ ඊට වැඩිය advanced method එකක්. මේකෙදි PDO – Php Data Object කියන PHP Extension එක use කරලා තමයි වැඩේ කරන්නේ. සරලව පැහැදිලි කරනවා නම් මේ PDO එකෙන් කරන්නේ MySQL Connection එක manage කරන එක. කලින් පැහැදිලි කරපු විදියට වැඩිය මේ විදියෙන් DB connection එක තවදුරටත් stable කරනවා well managed structure එකකින්. ඒ වගේම දැනට භාවිතා වෙන සියලුම Database platforms එක්ක වැඩ කරන්න පුළුවන් වෙන එකත් මේ PDO ජනප්‍රිය වෙන්න තවත් හේතුවක්. MySQL, Oracle, PostgreSQL, Firebird, SQLITE වගේ db platform ගණනාවකට support කරනවා. php server eke මේ script එක run කරලා බලන්න Database එකට PDO drivers තියනවද කියලා. මේකෙදි getAvailableDrivers() කියන static method එක use කරන්නේ. මේකෙන් තියන drivers එයි. default MySQL, SQLITE එනවා xampp වලට. එහෙම නැත්තන් configure කරගන්න වෙනවා. මීළඟට තියෙන්නේ connection එක හදාගන්න. transaction වලට කලින් database connection එක හදාගන්න ඕන. database එකේ type එක වෙනස් උනත් මේ step එක වෙනසක් වෙන්නේ නෑ. username, password වැරදි නැත්තන් මෙහෙම output එකක් එනවා. දැන් connection එක establish කරගන්න part එක හරි. දැන් බලන්න ඕන CRUD operation කරන්නේ කොහොමද කියලා. use කරන database එකයි tabel එකයි ඕන කරනවා. ඒ වගේම columns වල datatypes ඕන කරනවා. ‘USE dbName’, ‘DESCRIBE tableName’ කියන commands වලින් table structure එක බලන්න පුළුවන් MySQL Command Line එකෙන්, Phpmyadmin වගේ එකක් use කරනවා නම් table එක select කරලා බලන්න පුළුවන්. මම use කරලා තියෙන්නේ test කියන database එකයි foods කියන table එකයි. $count කියන variable එකෙන් query එකෙන් affect වුන rows count එක එනවා. මේකෙදි එකක් උනාට update එකකදී එහෙම rows කීපයක් වෙන්න පුළුවන්. මේ වගේම prepared statement use කරන්නත් පුළුවන්. Update, Delete queries execute වෙන්නෙත් මේ විදියටමයි. ඒක නිසා ඒ ගැන විස්තර කරන්න යන්නේ නැහැ. query එක විතරයි වෙනස් වෙන්නේ. දැන් data retrieve කරගන්න විදිය බලමු. database table rows එන්නේ array විදියට. ඒ array වලින් data අරගන්න එක තමයි මේකෙදි කරන්නේ. ‘ වෙනුවට තමන් කැමති විදියට data manage කරගන්න පුළුවන්. use කරන table එකේ තියන table columns අනුව variables වල නම් වෙනස් කරගන්න. මේ කියන්න හදන්නේ data fetch කරද්දී එහෙමත් නැත්තන් retrieve කරද්දී class objects විදියට ගන්නේ කොහොමද කියලා. use කරන table එකේ තියන table columns අනුව class එකේ variables වල නම් වෙනස් කරගන්න. This entry was posted in MySQL, PHP, Web, Web Development and tagged advanced, database, how to, PDO, php by dhanush_c. Bookmark the permalink.